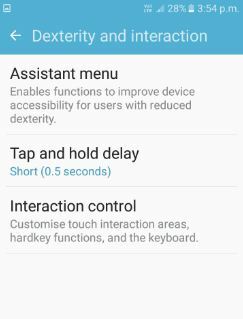 Use dexterity and interaction android M device. You can find this feature under accessibility setting in your android marshmallow (android 6.0) and nougat (android 7.0) device. It includes assistant menu and interaction control options. Using assistant button, you can navigate your device one hand only & touch-pad and cursor settings short-cut seen on phone screen. 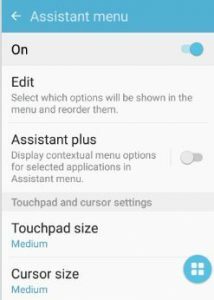 Use short-cut settings of touch-pad and cursor on screen if home button not working on android phone or tablet. 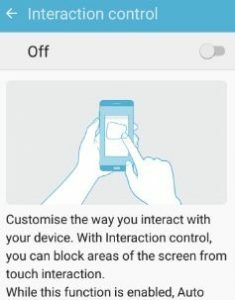 Using interaction control, block the screen areas from touch interaction. When enable interaction control in your android M & lollipop, disable auto rotate screen. Different android device is slightly different settings of dexterity and interaction control. Let see how to use dexterity and interaction android marshmallow, Samsung galaxy S7 Edge & S7, Galaxy S6, Galaxy S5, galaxy note 4, Galaxy J7 & J5 and more. You can view list of various options. 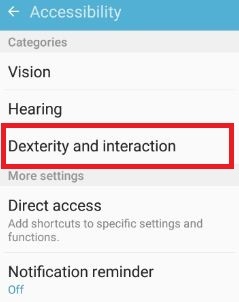 Assistant menu and interaction control feature available in this settings. 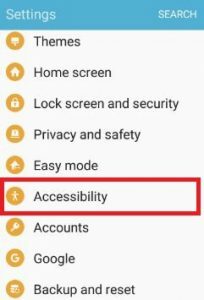 By default disable assistant menu on android phone. After enable, you can view short-cut menu on screen. You can operate your device without home button on marshmallow device. By default turn off. Enable Interaction control on your device. It will help to block your android device screen areas from touch interaction. Also block some of the app notifications, calls and notification panel touch interaction. 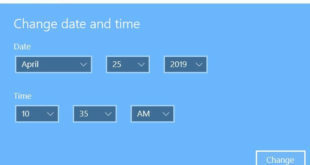 Set time limit for how long this feature enable on your android marshmallow and other devices. If you find above article helpful to use dexterity and interaction android phone or tablet devices. Feel free to share this article with your friends on social network. 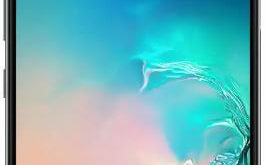 Stay connects with us for daily updates.